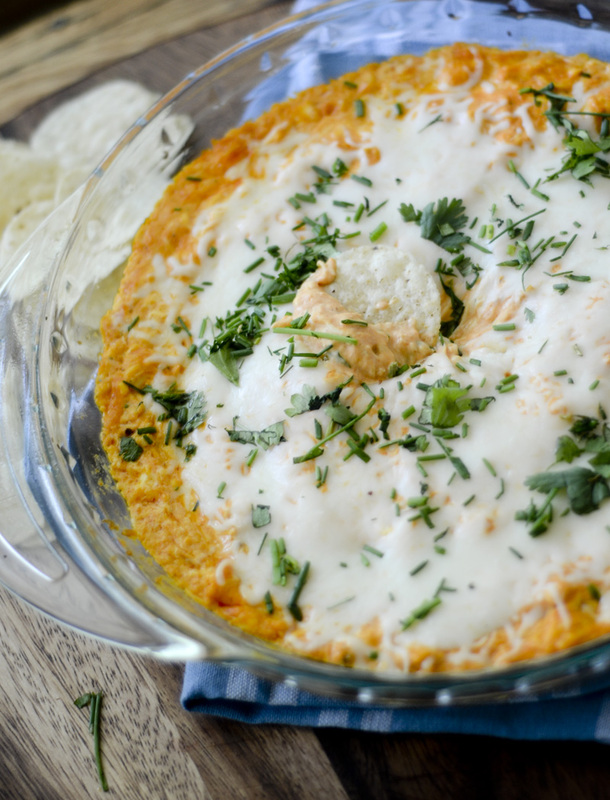 Skinny Buffalo Chicken Dip – Super Easy! Make sure you have the recipe with you if you ever bring this Skinny Buffalo Chicken dip to a party because people will be asking for it left and right. No one will even know that you lightened the recipe up! Place all the ingredients in a medium saucepan, over medium heat. Stir constantly until thoroughly heated and cheese is melted. About 15-20 minutes. Serve warm with tortilla chips and fresh veggies. Enjoy!